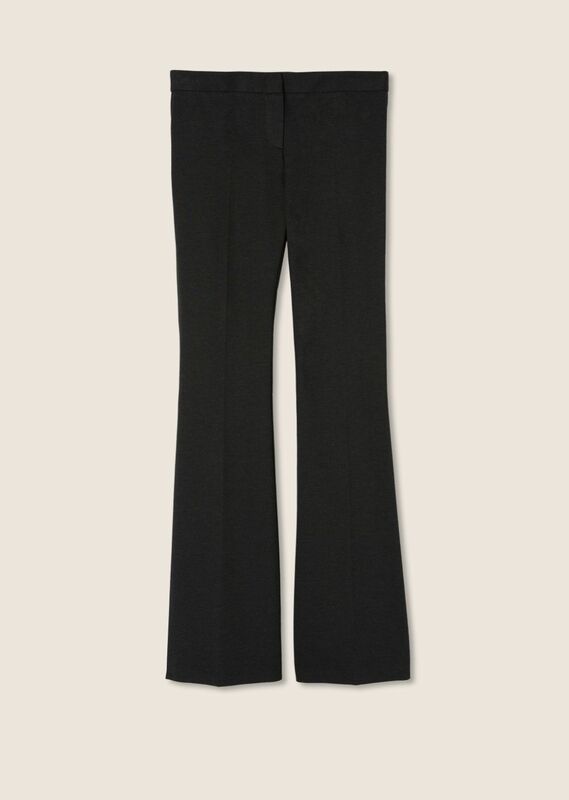 Our classic Alana trouser with a flared leg. 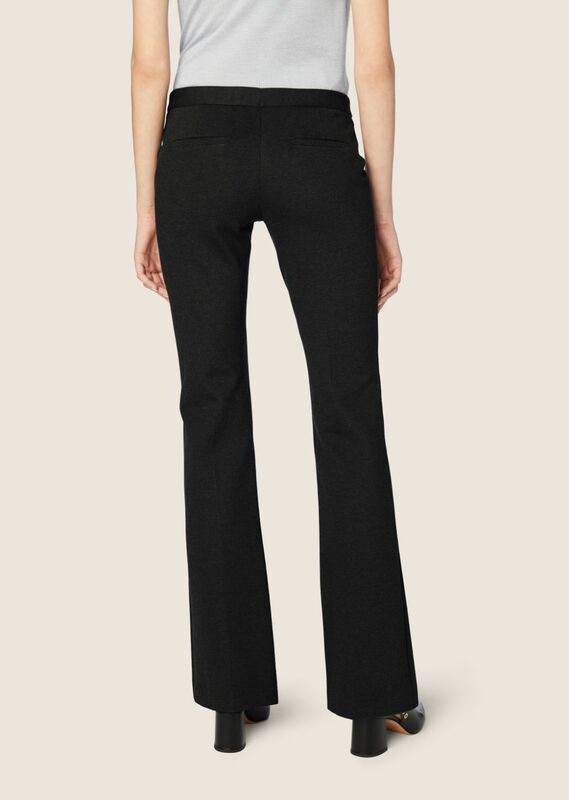 Her cut in a stretch double knit jersey. Fabric is soft yet remains crisp with a high percentage of elastane yarn in the composition.